Evan Peters, the breakout star of FX creepest American Horror Story, has landed a main role in the upcoming X-Men sequel X-Men: Days of Future Past. The new entry will bring together characters from the X-Men trilogy and prequel X-Men: First Class. Peters will portray Quicksilver, a mutant with the ability of super speed. In the comics, Quicksilver was Magneto’s son, and he later joined The Avengers along with his sister Scarlet Witch. How he will factor in to the film’s growing cast has yet to be determined. 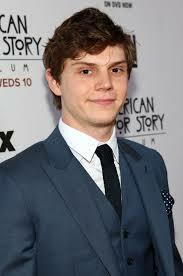 This entry was posted in News and tagged 2013, casting, evan peters, superhero, x-men. Bookmark the permalink.